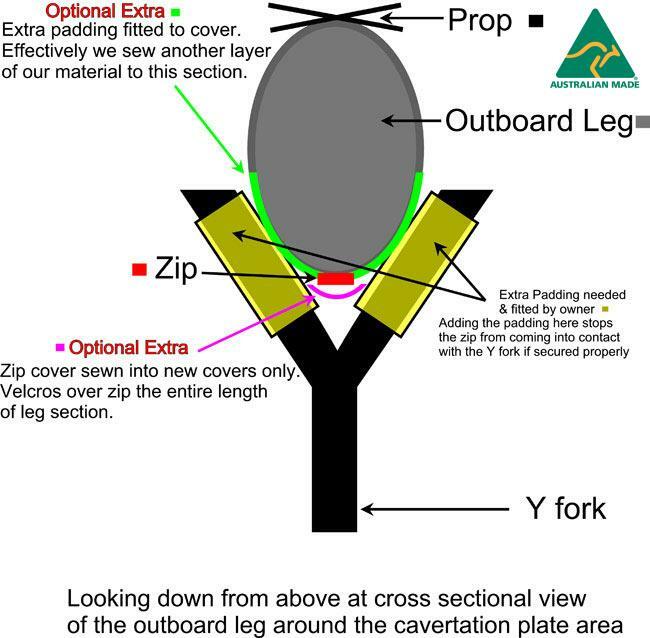 We can add an extra zip protector to your Full leg zip if you tow off road or in dusty conditions. 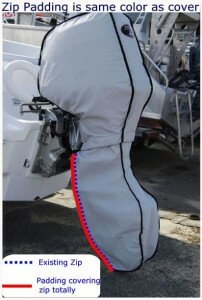 The leg section of our Full covers have a zip that runs up the front of the leg (closest to the boat). 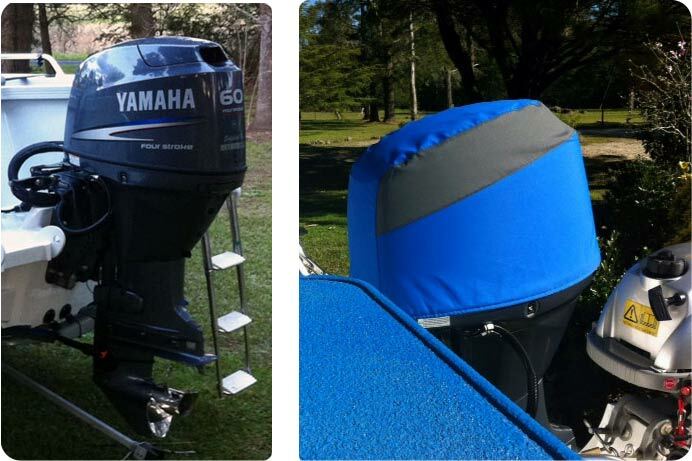 90% of the time these zip are safe from stones and rocks being flicked up by either the boat’s trailer or the towing vehicle. 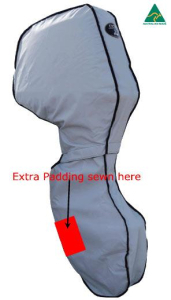 However, if you do a lot of towing on dirt roads or live in a remote location and have a long distance to tow we would recommend that you get our zip protector as an option. 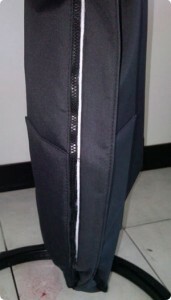 The zip protector is exactly what is says, it protects the teeth of the zip from being broken by flying stones or rocks. We sew a full flap over the top of the zip that covers it totally. 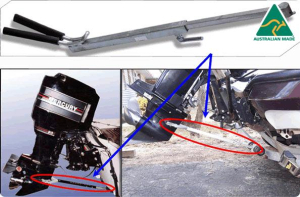 If you tow off road this is a worth while investment. 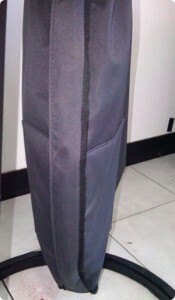 This is a cover showing where the zip protector goes. We will make this the same colour as the cover. The gallery on the right -> show images of the other optional extras. Click any image to enlarge.